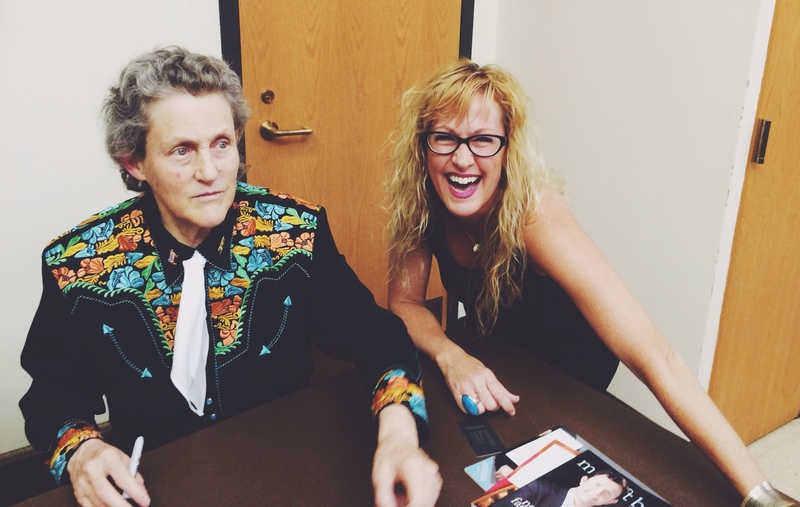 Let me tell you… I am still on a high from meeting Temple Grandin yesterday! I would love to tell my story of why she means so much to me. In the fall season of 2013, Jasan was going through a stage where tantrums were happening frequently. His speech was not as good as it is currently, and I am sure he was in a frustrated state…often. At this time I was not aware of his autism. Floating around in my head was the comment made to me by one of his early intervention therapists, “He may be on the spectrum…” but honestly, I was clueless to what that meant. Months had gone by after hearing that, and life was becoming increasingly more difficult with Jasan. During this time period, I compared him daily in my mind to the neurotypical children I work with every day through my job. This list of comparisons went on and on. Then, I lost it. It will be forever ingrained in my memory the day that Jasan threw a mid-day tantrum that I couldn’t handle. It happened during the nap time routine. He was hitting and kicking me and I had just had enough. Up to this point (and even now) I considered my patience level with Jasan to be very high. But on this particular day, I must have been off. He actually hit me to where it HURT, and I could not take another second. I screamed and yelled at him to stop, which did no good whatsoever. I locked him in his room and fell to the floor and just wept. He was screaming at the top of his lungs for me to come back into his room, but I just couldn’t. I had to regain myself. I had to calm down. I honestly was at a loss and DID NOT KNOW WHAT DO TO WITH MY OWN CHILD. This is a feeling that is beyond helplessness. After a minute or two, I went back into his room and somehow got him to sleep. As I was leaving his bedroom, I was prompted to search for “autism” online. I had never felt that before, and autism wasn’t even a topic that had entered my mind since that comment that I had received from his previous therapist many months earlier. As I sat with my computer in my lap, the first article I read felt like it was written specifically for me. Halfway through, tears started pouring down my face as I realized, “Jasan is ABSOLUTELY an autistic child.” I remember this article named specific details that described potential autistic tendencies. Memorizing license plates…Oh my goodness. Jasan memorizes license plates and associates them with every person he meets. That is what really got me. In all honesty, at that moment I was completely devastated. DEVASTATED. This was not something that I was ready to handle or even knew anything about! Where was I to begin? What does this mean for his life? For my life? A million worries and questions crowded my mind. As I kept reading article after article, I came across a short, beautifully written piece that I felt compelled to share on Facebook. Because I work with little children in my profession and see other childcare workers daily, I know that there were many out there (including me at that time) who were simply under-educated about kids with special needs. Through no fault of their own, they just weren’t, and aren’t, well informed. So, with that in mind, I posted the article hoping it would resonate with some. I’m sure at that time in my moment of absolute freak out about my own child, I cryptically wrote something along with the article. A good friend who knows me well, saw right through that and called me a couple of hours later. She and I do not talk on the phone very often, so her call came as a surprise. She told me that she had read my post and felt the need to drive a movie over to my house. 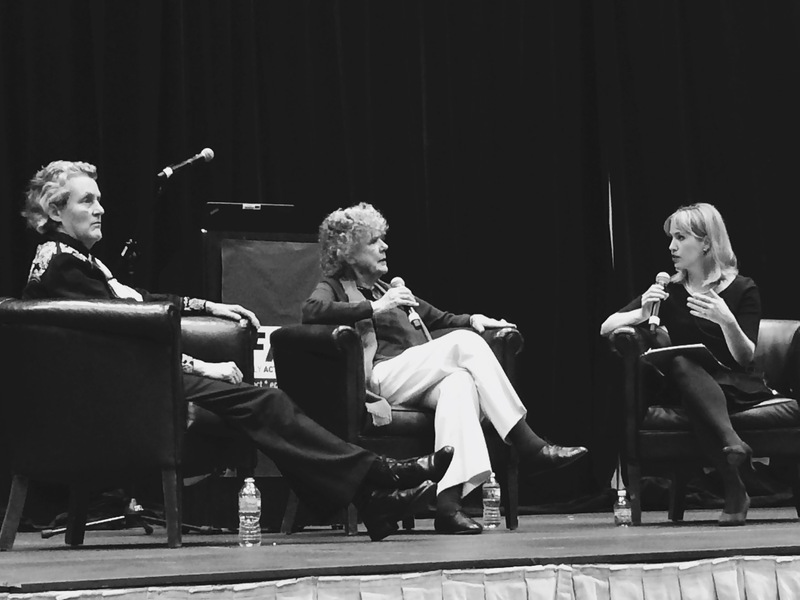 She said that it was very informative and that it might be inspirational…and to just WATCH IT. I sure did, that very night. And that, my friends, was when I was introduced to Temple Grandin. Watching her story unfold was incredible. I was crying, I was happy, but most of all I saw Jasan in that movie. That watershed moment expanded my awareness tremendously and created amazing clarity for me with my son. What brings tears to my eyes was experiencing Temple sharing her story with all of us. And this is why I finally UNDERSTAND MY OWN CHILD. The only people who will ever really be able to understand the complexity and emotion that goes into what I am saying are the parents of an autistic child. The years of not understanding all came into the light. My love for him grew even deeper knowing that he is completely unique. I and realized I had so much to learn. But Temple Grandin gave me hope. She opened my eyes. This is where my new journey began. That day… those events… that movie. So, as much as I was just another person with a book to sign and someone who wanted a picture with her, she will never know how much HER LIFE changed MY LIFE. My awareness and my complete acceptance of how beautifully my son is wired will change HIS LIFE. Thank you Temple Grandin. I have the utmost respect for you and your brain. You amaze me as well as so many others. 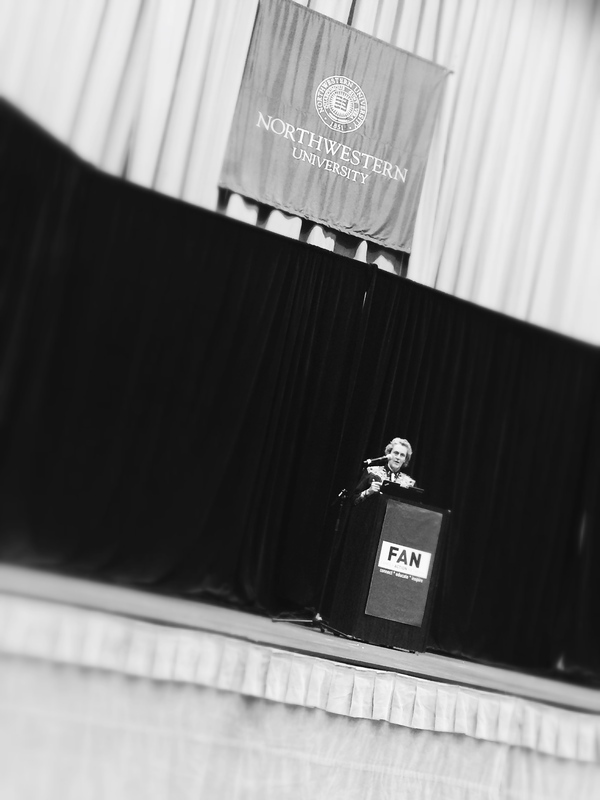 I am very pleased to share with you all that the lecture that was given at Northwestern University last night was recorded. Her mother, Eustacia Cutler, also spoke. All I have to say is that my mind was blown. What an evening! The Family Action Network is the organization that put this event together. They will have this lecture on their website in a few days. I will be posting the link to that as soon as I see it! It will be a must watch. I just read your post & I am in awe of you and how you have grown in respect to Jasan! I look forward to your next post & hope that some day I will get to meet both you and Jasan! Well, thank you!!!!! I appreciate your comment very much. Oops! I am not really anonymous! I’m Cathie Khouri. Oh Kim! Thank you for sharing this with me! Now I’m the one with the tears… Happy tears. Reading what you just wrote and the connection that we made is why I created this blog. WOW! That is such a clear illustration of the difference between a meltdown and a tantrum. And it is simply awesome that you sat down and searched, commented and had a friend that could read between the lines. I am learning a lot about Temple Grandin in my quest to learn more about Autism. She is an amazing lady and I recommend that anyone who is blessed to have an autistic person in their life watch that video! It is truly amazing and she is an inspiration :).